Is it all creative people, or is it just me with this problem? When I get the urge, the inspiration, whatever you want to call it, to try something – I have to do it now! And being frustrated in that desire is really aggravating. I was all excited yesterday because we had to go to town and it meant I could pick up some silk ribbon and marker pens to give that gorgeous embroidery a go. I’ve been reading up on the stitches and watching tutorials on You Tube and I was all ready! Spotlight, here I come! But when I got there it was a huge let down. Not only did they tell me they don’t stock silk ribbon. They also told me that no one in the Bay does, and I’d have to order it from Auckland! I wanna go home and try it now, not order it and have to wait days for it to arrive! Once home I started thinking about all my different supplies in my craft room. I have ribbon, although it’s not silk. I had felt tip pens, although not the proper permanent ones from the tutorials, and I had plenty of fabric. So I gathered up some lengths of different coloured ribbon in shades I thought would be appropriate and in widths that might be useful. 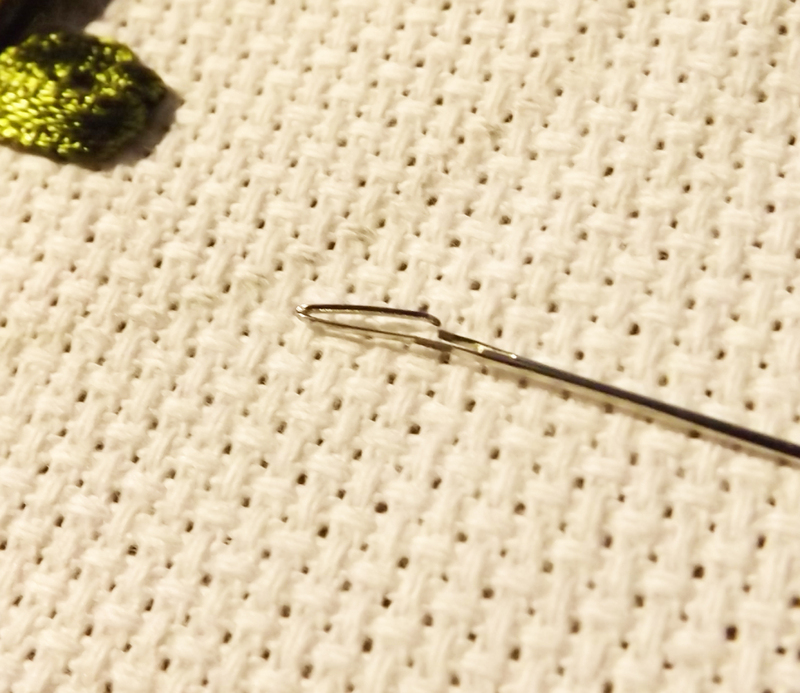 Grabbed a pack of pens, some needles and a cross stitch pack that had a small piece of embroidery fabric in it, and brought them out to the office. I didn’t have a pattern, but what did that matter, I was just going to try my hand randomly at some of the stitches I’d seen them use on the videos. 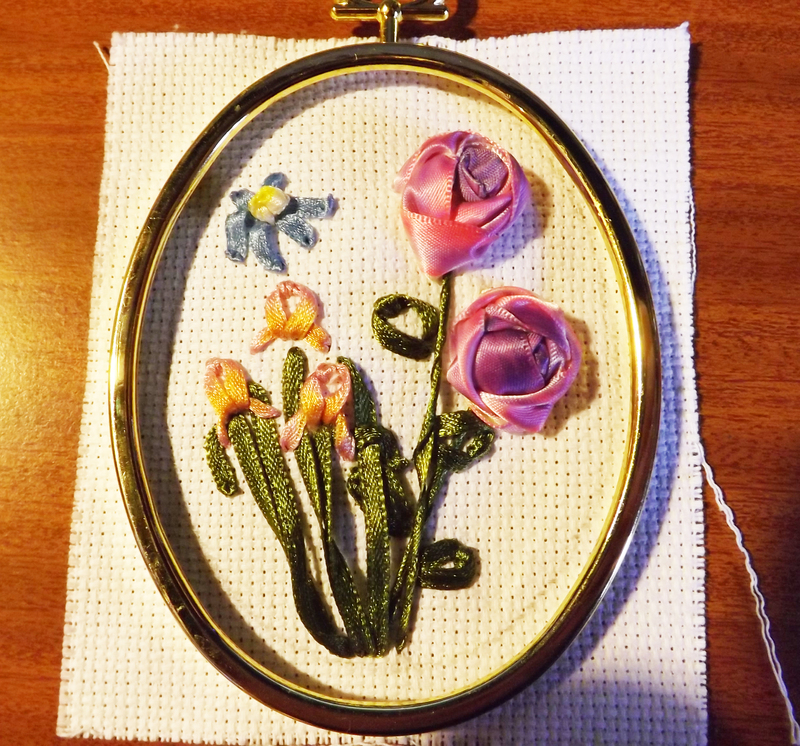 So here are some photos of my first attempt at ribbon embroidery. Wrong ribbons, wrong pens. 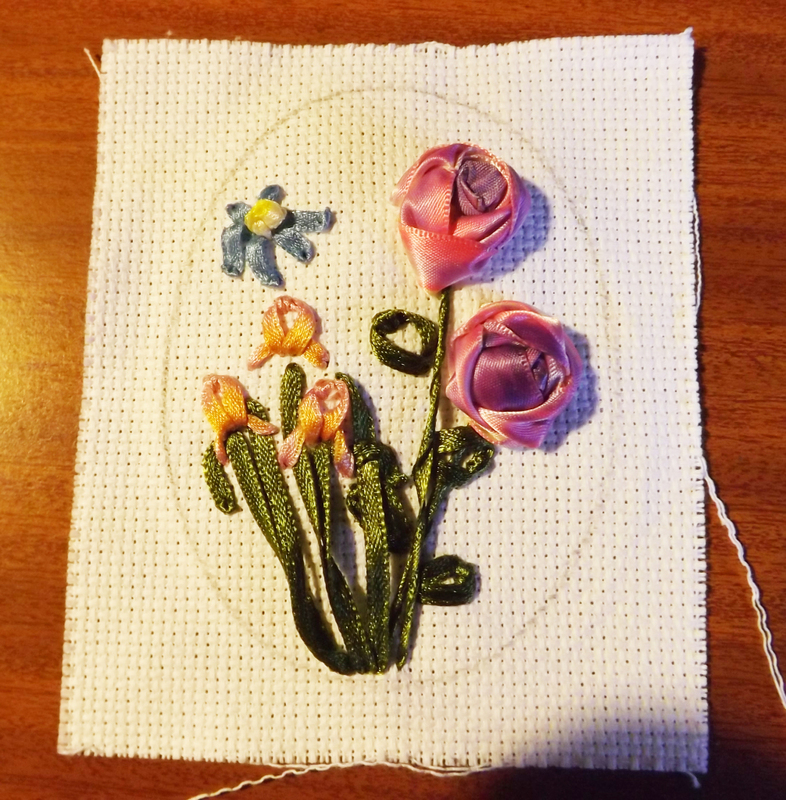 You can see that the ribbon I used for the roses was too wide, but I had nothing between that one and the tiny one I used for the leaves. Please don’t laugh. Oh and by the way, that blue thing up in the sky area is not a sun. I was trying to do a daisy! Pretty bad huh. Thank you for not laughing too hard! What about you? Do you ever have that same driving force that says you just have to do something? What do you do about it? Wow!! It’s gorgeous! I always wanted something like this framed in my jewelin room. Keep at it…you’re great at it.